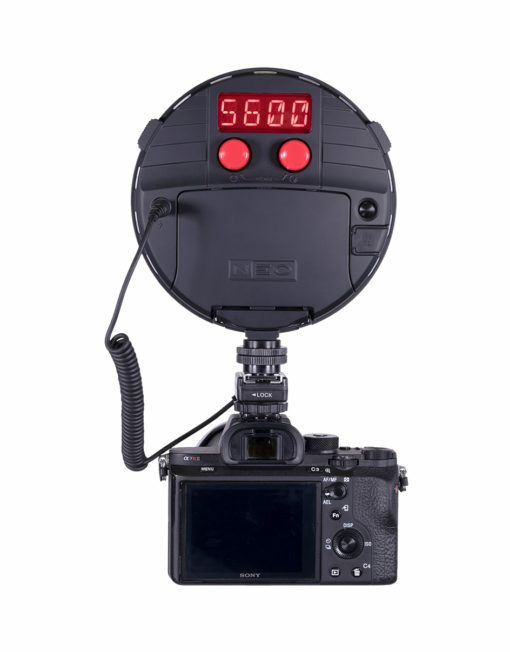 Revolutionary all-in-one on camera continuous LED light and HSS Flash with no recycle time. Unrivalled battery performance – 85,000 full power flashes on 6 x AA (NiMH or Li-Ion) (or 1.5 hours continuous output at max power). NEO 2 can be simultaneously a continuous ‘modelling light’ and HSS flash, allowing the photographer to easily acquire focus in dimly lit situations and optimise composition. Designed for portrait photographers and videographers on the go, NEO 2 provides the ‘shoot what you see’ benefits of continuous light, and the flexibility of HSS flash (1/8000th sec.) with 500% flash output, whenever users need more power or to freeze action. HSS also enables users to shoot with wider apertures to create beautiful separation between subject and backgrounds. Rotolight has collaborated with Elinchrom to integrate its ‘Skyport’ 2.4Ghz HSS wireless flash receiver into NEO 2, eliminating the need to purchase a standalone flash receiver, whilst providing rock-solid reliability, range, flexibility and control for multiple off camera lighting setups. Skyport enables users to wirelessly control up to 10 lights, in four groups at up to 200m(656ft) with the new Rotolight HSS transmitter, optimised for Rotolight by Elinchrom. It is available on launch for Canon, Nikon, Sony, Olympus, Panasonic, and, shortly, Fuji camera systems, and compatible with all other Elinchrom Skyport devices. “The NEO 2 is going to revolutionise how people use light and eliminate the need for external flash. If you have those moments that you just cannot afford to miss, this is an incredible light for you. You’ll never miss a shot,” says Jason Lanier, a Sony Artisan of Imagery and professional photographer. Photo by Jason Lanier using a single Rotolight NEO 2. Featuring electronically adjustable colour temperature in both flash and continuous modes, with a built in kelvin display, NEO 2 enables photographers to easily adjust white balance or match ambient light settings to create more natural looking shots. Lightweight and portable, NEO 2 can be mounted both on or off camera for ultimate creative control. 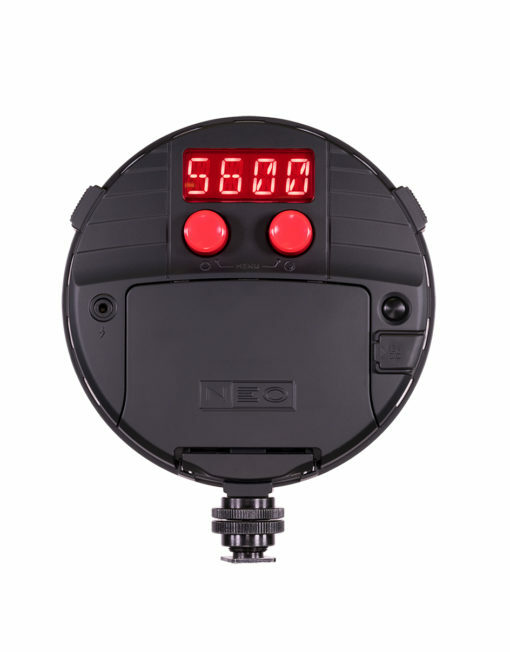 Delivering the longest battery life of any speedlight or flash, ever made, NEO 2 provides 85,000 full power flashes on a single set of rechargeable AA batteries, compared to the 200 flashes of a typical speedlight. Now 85% brighter in continuous mode than its predecessor, NEO 2 is a small light that delivers big results. “It enables photographers to spend more time composing the perfect shot, rather than spending time on cumbersome lighting setups. 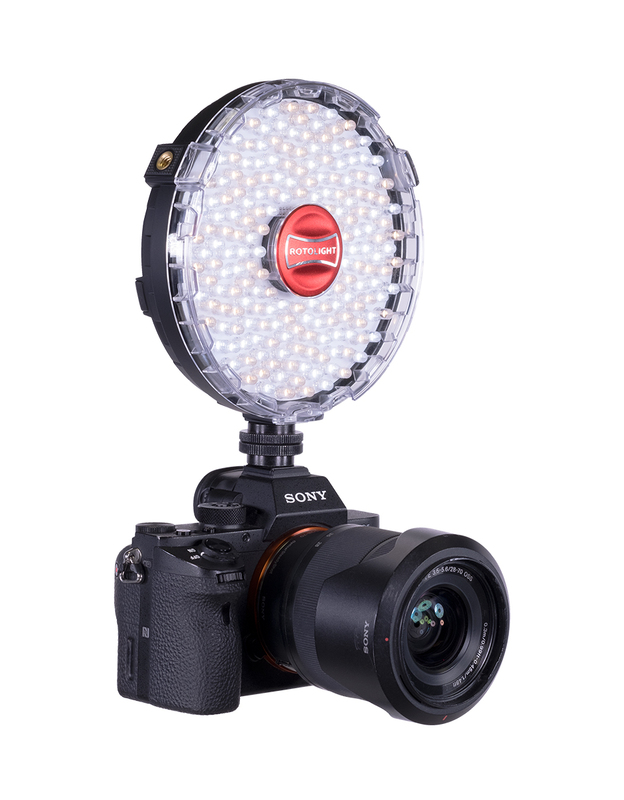 For those shooting both stills and video, it entirely eliminates the need for two separate purchases,” says Rod Aaron Gammons, managing director of Rotolight. Packed with innovative features for video users, NEO 2 is ideal for interviews and filmmaking. It includes an updated suite of CineSFX™ effects, Rotolight’s award-winning feature set for video productions/ filmmaking, (fire, lightning, TV, gunshot, paparazzi and others), as well as a Designer Fade mode for custom in-camera fade FX. NEO 2 also features Rotolight’s AccuColour ™ LED technology that delivers outstanding colour rendering for perfect skin tones. The unique circular shape provides a naturally soft, flattering light output, with Rotolight’s signature catchlight effect. 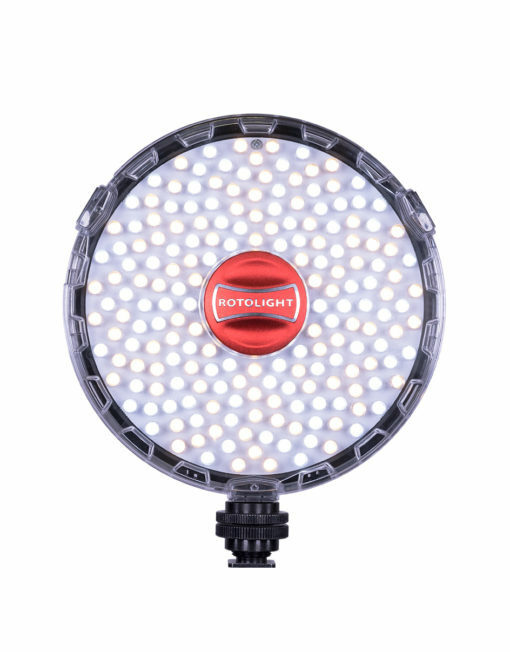 Rotolight NEO 2 is available as a single light, including a belt pouch, accessory shoe, power supply and four-piece filter pack including diffusion, skin tone and magenta, or as a three-light kit with hard flight case, stands and ball heads. Optional accessories include softboxes, rain covers, and 10-piece colour filter pack.